The 21st century has opened its doors to a digital expansion of the global market, allowing companies to venture into online sales and to attract customers that make purchases regardless of time and physical distance. WooCommerce is one of the most popular e-commerce website tool for businesses, promising to help you create the online store you want with various features and tutorial videos. It is compatible with any device and is able to work effortlessly with WordPress. Aside from its many features and benefits, WooCommerce plugins help your website function to its full potential. The login redirect tool improves customer experience by allowing him to access an assigned page after signup or login, instead of the default. Ideal for sites that have trouble or complaints from customers about being brought back to the home page or losing track of his purchase after being made to log into the site. Shipping is one of the essential features of an online store, allowing entrepreneurs to conduct business with their customers even those that are miles away. This WordPress E-commerce Plugin comes with a lot of features such as customizing the prices based on certain conditions, perfect for shops that sell a variety of items and those that have multiple courier contacts. A product filter plugin allows the consumer to find the items that they want to purchase in just a matter of seconds. Perfect for online stores with huge inventories and a lot of different commodities. This is a free plugin that enables you to launch the newly-released Google Analytics feature, Enhanced Ecommerce. This is perfect for page owners that want to track behavior across the website and find out how he can improve. Product variation, whether color, style or appearance, is common to most merchandise. The Extra Variation plugin allows you to add a selection to your items, perfect for businesses that sell similar products but in different designs and styles. Shipments are often hard to track especially when you’re dealing with different couriers. This tracker enables both customer and shop owner to find out the status of goods being delivered; ideal as complementary tool for websites that offer shipping. The Extra Product Options Extension allows you to create price variations, supports forms that contain check boxes, radio buttons, and others. When your shop has specific products that suit specific customers, this is a good addition to your website. The UPS shipping plugin helps e-commerce sites get the information from their API like pricing based on weight and other information. This is ideal for websites that frequently use UPS as a shipping option. A filter is one of the many effective ways in getting your consumers the products that they want, by allowing them to search for an item through various options. Perfect for businesses that have a lot of choices for their items. 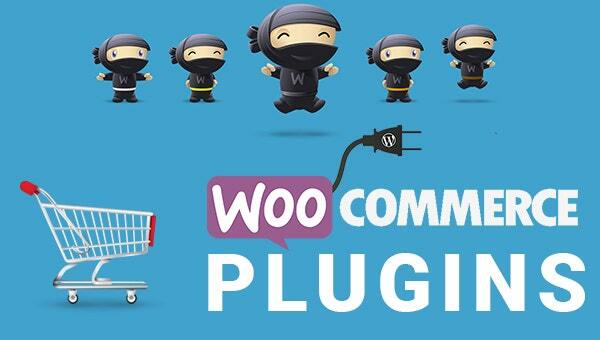 These are some of the best WordPress plugin that you can use for Woocommerce enabled website. These plugins let you create an e-commerce website that is more interactive and user-friendly. They are easy to use and can be worked upon without any professional help or guidance.